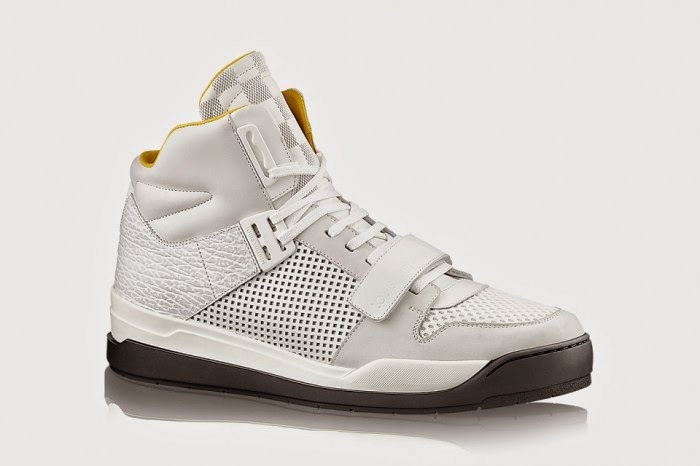 Louis Vuitton introduces their brand new Trailblazer sneaker boot. 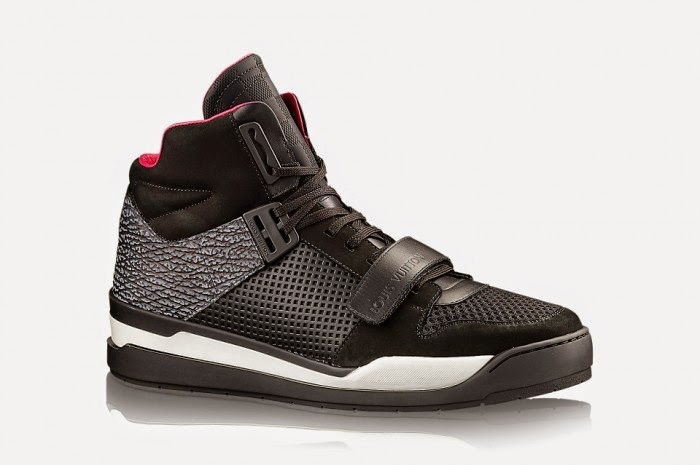 Combining elements of both the Air Jordan 4 and Nike Air Yeezy 2, the first two colorways of this cutting-edge, high-top sneaker feature an innovative patchwork of materials: mesh, perforated nubuck and calf leather. The black and white variants boast a neon-bright lining and technical two-tone outsole for a graphic, street-inspired look. 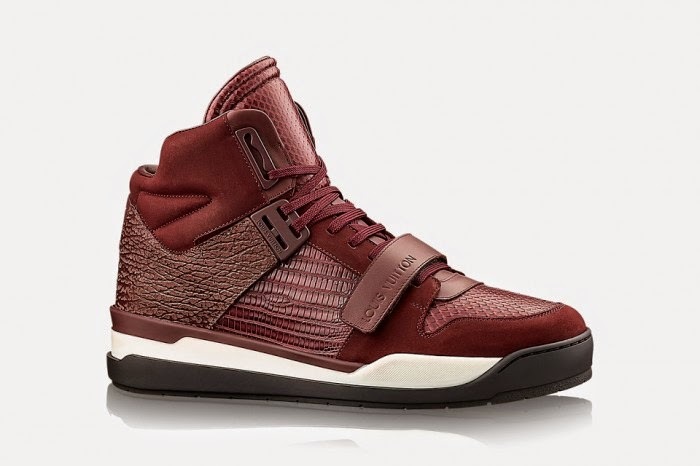 The other style, seen here in a Bordeaux colorway, comes in a luxurious combination of water snake and tejus (lizard) leather. The black and white iterations retail for $995 USD, while the luxurious combinations retail for $1,990 USD. All four versions of the Trailblazer sneaker boot are now available at Louis Vuitton’s online store.